As India joins the global markets where counterfeits are flourishing, consumers and brands are concerned. I think that pretty much outlines American Tobacco. Facebook won approval for its $9. louis vuitton store new york David Booth,Miami Much to Audis chagrin, the A8 has been the bestkept secret in the luxury sedan segment. The velvet cape called a mozzetta has also been part of official papal attire but hadnt been seen since John XXIIIs successor, Paul VI, in the 1970s. discounted ugg boots for sale There is a Ribbon of Fire running around the World. Or, la Spark et la QQ taient en pratique identiques. Of course, the question in the minds of many of the Vampire Diaries stars fans will unfortunately remain unanswered by his recent spate of personal revelations. What if there was a technology that provided clean renewable energy that could one day replace all the use of petroleum from renewable sources such as algae? There is. It is the Mcgyan Process and it can produce biodiesel fuel in seconds from all waste oils and energy crops. This is an American story of innovation and entrepreneurship from the view of one of the scientists who discovered the revolutionary process. It is a story of hope for the future of our world and a journey that you will never forget. We go to war for oil, and we import more than 70% of our petroleum from foreign sources. Many of these are hostile towards the United States. This current state of our nation is not strong. Our national security is held in the hands of others and our way of life is threatened. It is time to break the cycle. This is where the discovery story of the Mcgyan Process begins - just like big oil, the story begins with a chemist. "This is a compelling and inspiring book, at once an accessible story about the context and facts of a revolutionary biodiesel discovery and at the same time a moving account of the mystery and awe experienced by all those involved. Here is a genuine liberal arts story - linking scientific discovery, faith and values, and success and responsibility in commerce." Technical advances in bio-fuel generation are needed if the United States is to achieve energy independence. A major development resulted from an interesting collaboration by three members of the Chemistry Department at Augsburg College's liberal arts school in Minnesota. Together, the inquisitive future Rhodes scholar, the veteran professor nearing retirement, and the entrepreneurial graduate develop a zirconium based catalytic system to provide continuous release of clean biodiesel from dirty starting materials such as pond algae. It is no surprise to me that the innovations for 21st century energy supply are coming from America's heartland. Henry Ford wanted to be surrounded by a few good people with an infinite capacity for not knowing what couldn't be done. Clayton McNeff found them, and the result was the impossible. 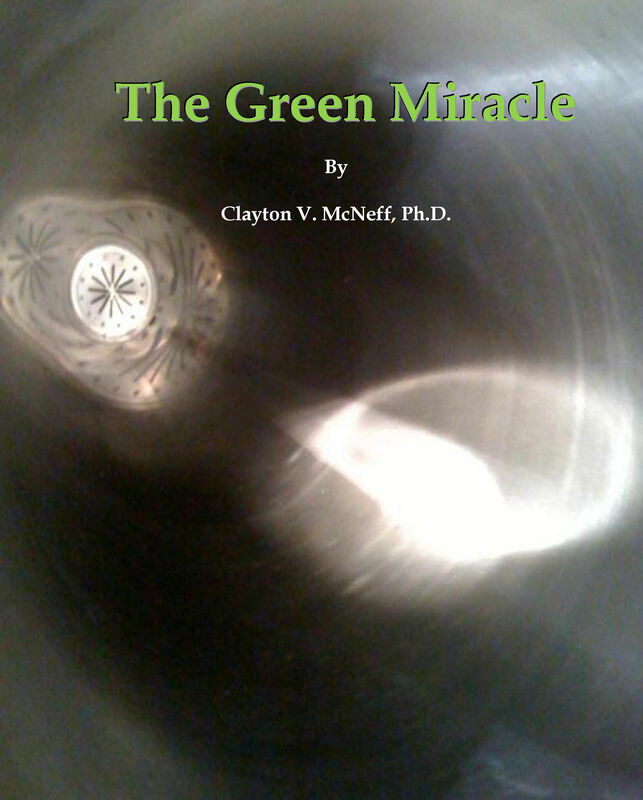 The Green Miracle tells the story of an incredible breakthrough for a new age of fuels. And, as we like to say in the news business, it has the added advantage of being a great story. Copyright © 2019 Ever Cat Fuels, LLC. All Rights Reserved.